Travel to Peru and explore the most spectacular archaeological monument in South America, the ancient Inca site of Machu Picchu. Our Machu Picchu Explorer is a short 5-day/4-night adventure designed to complement our Galapagos small ship cruises or Peru Amazon cruise. This privately guided independent Peru tour can also be combined with other regions of Peru such as Lake Titicaca, the Amazon River or the Inca Trail Trek, to craft a custom tour of Peru. Enjoy a full day guided tour of Machu Picchu and an overnight at the famous Inkaterra Machu Picchu Pueblo Inn. Charismatic guides versed in archeology, history and Andean culture show you monumental Inca temples, traditional villages and markets of the Quechua Indians in Cusco and in the Sacred Valley of the Incas. This guided Machu Picchu tour operates on a custom basis for our clients and can begin on any day, subject to availability. As such, the Machu Picchu Explorer is the perfect Peru tour to combine with your Galapagos cruise. This trip can also be customized to forge the ultimate Machu Picchu adventure that fits your interests, ability, schedule and budget. Upon arrival in Cusco you are met by your guide who will remain with you throughout your time in the Peruvian highlands. The elevation of Cusco is 11,000 feet so we encourage a relaxed pace while travelers acclimatize. Enjoy a transfer from the airport to your hotel, then an afternoon guided orientation of Cusco's Spanish churches, ancient Inca sites and surrounding ruins. Depart early on a scenic drive along farmlands and mountain peaks of the Urubamba River. Known as the Sacred Valley of the Inca, the Urubamba Valley is home to numerous important Inca Ruins and vibrant Quiche markets. Enjoy a full day guided tour of the Urubamba Valley including the traditional Andean towns, ancient Inca Ruins and traditional Indian Markets of Pisac and Ollantaytambo. Relax this evening with delicious Peruvian cuisine and surrounded by authentic Peruvian history and culture. An early train follows the Urubamba River as it climbs high into the Andes Mountains revealing glaciers and spectacular scenery. Upon arrival in Aguas Calientes proceed by bus to the Inca Ruins of Machu Picchu. Your guide will introduce you to this history, nature and culture of this magnificent site with a guided tour. This evening overnight at the famous Inkaterra Machu Picchu Pueblo. The grounds of this exclusive hotel covers acres of native rain forest including an orchid garden and nature trail offering a peaceful refuge within walking distance shops, restaurants and the train station in Aguas Calientes. Arise early and be among the first to experience Machu Picchu before the train arrives. 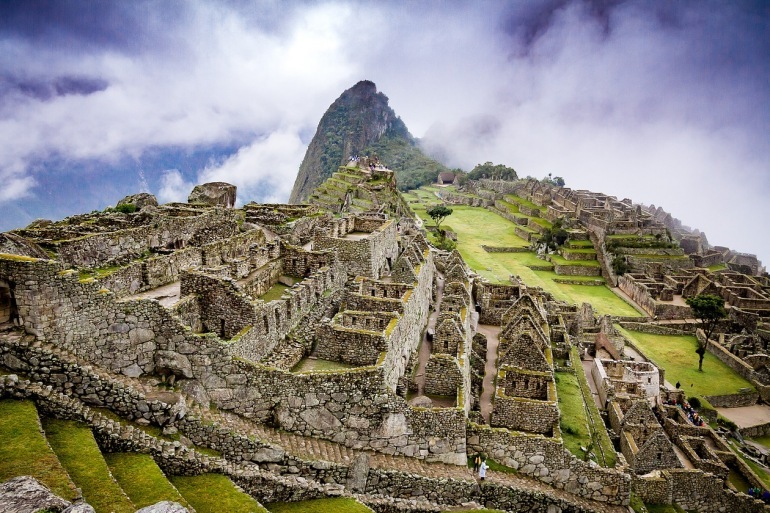 Watch the sunrise, take a hike to the Temple of the Moon, the Inca Drawbridge or beat the crowds to Wayna Picchu, the steep-sided mountain behind the ruins. Return by train to Ollantaytambo before proceeding by road to your hotel in Cusco. Entrance fee into Machu Picchu. Tips to local staff and items of a personal nature such as soft drinks or alcoholic beverages,laundry fees and insurance of any kind. All persons wishing to make a reservation, and all persons who will be traveling, must complete and sign the Traveller Information Form. All reservations are made with Adventure Smith Travel Services Inc., d/b/a Adventure Smith Explorations. No person has any authority on Adventure Smith Explorations’ behalf to vary these terms and conditions.